​Papercraft Anivia and Papercraft Nunu & Willump were revealed as new skins on the League of Legends 9.4 PBE cycle Tuesday. 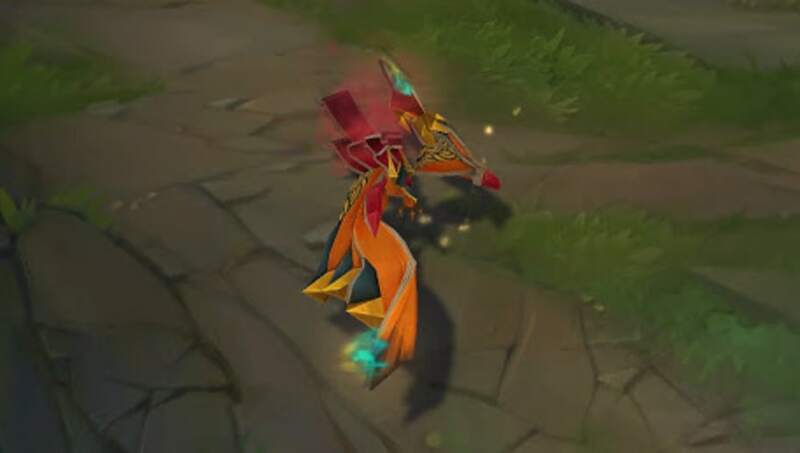 The skins, keeping with the Lunar New Year theme in League of Legends, come equipped with chroma variations and summoner icons. The two Papercraft skins come alongside champion balance changes for Rek'Sai, ​Vi and the newest champion in ​League of Legends, ​Sylas. Essence Reaver also received a change, having its 20 percent cooldown reduction changed to a unique passive. Additionally, visual effects changes for Kennen, Olaf, Riven and Wukong are available after updates were announced Jan. 30. "Similar to the previous updates to Anivia, Dr. Mundo, Gragas, Jarvan, Lee Sin, Renekton, Veigar, and Vi, we're working on updates to the Visual Effects (VFX) and Sound Effects (SFX) of more champions whose spell effects are in need of some love. These are updates to the visuals and sounds only, and do not include any gameplay updates. Our aim is to get their FX to current League standards and improve gameplay clarity. In Patch 9.4, we'll be releasing VFX and SFX updates for and Wukong, and VFX-only updates Olaf, Riven and Kennen (he already received some SFX love a few patches ago)," Riot Beardilocks said in a League of Legends board post. For a full list of changes currently live on the League of Legends PBE, check out the ​Surrender@20 official post.